The title of the film refers to the day in 2016 on which Trump was elected president. 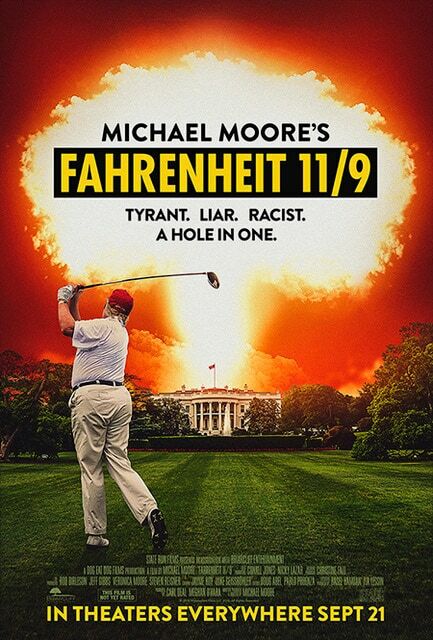 It serves as a sequel to Moore’s 2004 documentary “Fahrenheit 9/11,” which took a critical look at the events after Sept. 11, 2001 and President George W. Bush’s administration. In his latest doc, which will hit theaters on Sept. 21, the film’s release is ahead of November’s midterm election where Democrats are hoping to gain control of the House of Representatives and/or the Senate, which the director told Bill Maher was his plan.